The Soccer Tactical Movement Specialist Certification program provides drills and games that develop skills and at the same time, make practices more fun and productive. Get clearly explained exercises for ball control that demonstrate the techniques of feints, dribbling and change of direction. There are more than 40 exercises designed to develop attacking play which will lead to goal scoring opportunities and stimulate player imagination and creativity. Acquire the necessary Advanced Soccer Tactical Movement Specialist Credential and establish yourself as the expert in this ever-growing niche. The Advanced Soccer Tactical Movement Specialist Certification course is suitable for a wide array of health experts and professionals including personal trainers, group fitness instructors, chiropractors and chiropractic assistants, soccer coaches, physical therapists, massage therapists, athletic trainers, registered dietitians, occupational therapists, safety experts, physical education teachers, recreational activity instructors, registered nurses, physicians, osteopaths and other allied health professionals. 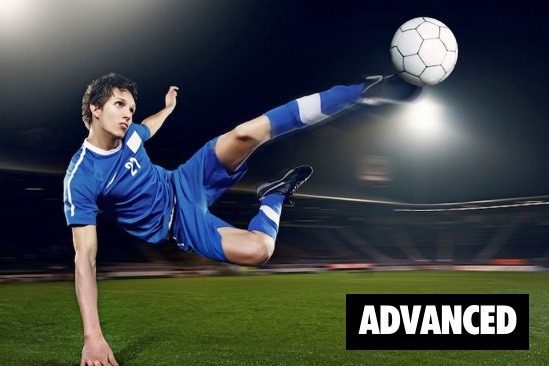 Show off your Specialist Credential with our Distinguished “Professional Soccer Tactical Movement Specialist – Advanced” Certificate. The specific drills will definitely be useful. The QuickTime videos give clear depictions of various aspects of soccer (warm-ups, drills, etc). An amazing course that all personal trainers and soccer coaches can learn from. Course was very in depth!! Adequate tactical skills and drill training for athletes. QuickTime videos were great to have and follow along with. This course is a complete guide for anyone looking at honing in on giving educated, sound and diverse coaching/instruction to any level of soccer skill. With the completion of this course, you will obtain a complete skill set to coach/instruct any skill level of soccer with confidence.